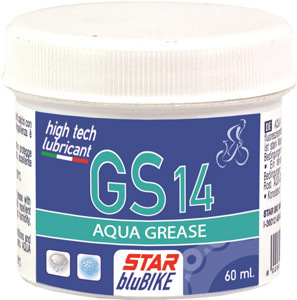 Bike calcium grease AQUA GREASE is a yellow fluorescent color calcium grease with excellent lubricating characteristics. Its strong water repellent properties makes it the ideal choice in conditions with high humidity, and in rain and snow. cod. 20104 AQUA GREASE 60 ml.